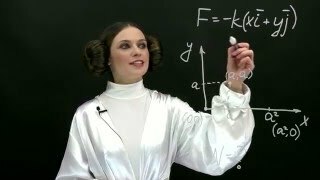 How is 18-electrone rule helpful in determining the number of metal-metal bonds in Fe3(co)12 and Co4(Co)12 ? explain with example that 18-electrone rule is not useful in distinguishing between bridging carbonyl group and terminal carbonyl group? The 18-electron rule is a rule used primarily for predicting formulae forstable metal complexes.The rule is based on the fact that the valence shells of transition metals consist of nine valence orbitals, which collectively can accommodate 18 electrons as either bonding or nonbonding electron pairs. This means that, the combination of these nine atomic orbitals with ligand orbitals creates nine molecular orbitals that are either metal-ligand bonding or non-bonding. When a metal complex has 18 valence electrons, it is said to have achieved the same electron configuration as the noble gas in the period. The rule and its exceptions are similar to the application of the octet rule to main group elements. The rule is not helpful for complexes of metals that are not transition metals, and in fact the majority of transition metal complexes violate the rule. 7. Elements in a vertical arrangement have similar properties what is the basis of this?